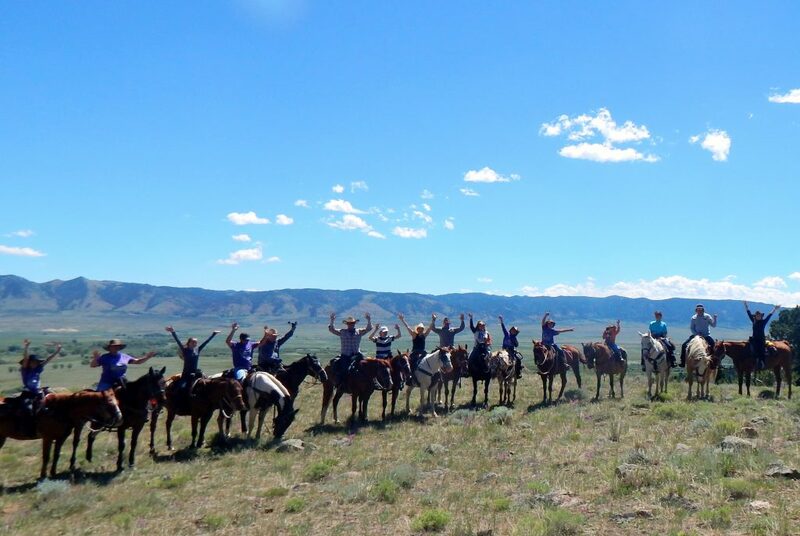 Each summer, the Vee Bar Guest Ranch hosts several family reunions ranging in size from 10-30 members. At the Vee Bar everyone can truly be on vacation. Leave the meal planning, activity planning, and transportation to/from activities to the Vee Bar team. All-inclusive packages mean that everybody can enjoy three meals per day, all activities, and lodging for one price. Activities include horseback riding, riding lessons, wagon rides, cattle work, team penning, a camp out, fishing, archery, trap shooting, hiking, and much more. Total capacity in the summer is limited to 30 horseback riders. Families may choose from a variety of quaint riverside suites or cabins. Larger cabins can sleep families of 5-8 people and the riverside suite can sleep up to 4 people. Groups of 10 or more people receive 10% off their entire reservation. Please contact us for more details! 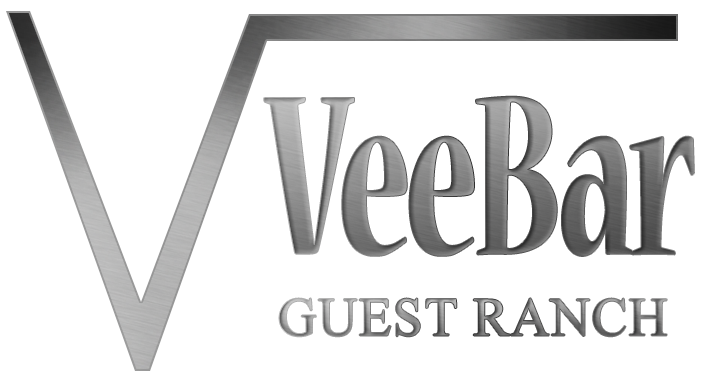 The Vee Bar Guest Ranch can be booked for your dude ranch family reunion, group dinners and other special occasions. Whether it is a birthday party, retirement party, or graduation dinner, the staff at the Vee Bar will work to make sure the event is special. You may want to arrange for appetizers and a cocktail hour prior to the meal, or you may want to serve guests hors d’oeuvres while they mingle. In general, the capacity for groups is 50 people. Ask our office about scheduling a wagon ride or horseback riding, too. You may also want to treat your guests to a barbecue dinner picnic-style in the great outdoors! Chef Dale cooks some truly delicious barbecued pork ribs and chicken–in fact it is our most popular menu item! Inquire at the office about the availability of horseback riding, a horse-drawn wagon ride, and trap-shooting, all seasonally available for an additional cost. Other free amenities at the Vee Bar include fishing (some equipment provided), archery, horse-shoe pits, an outdoor hot tub, and in the John Wayne Saloon you will find a pool table, cards, board games, and a fully-stocked bar. We can also tailor a package to fit the needs of your group. Contact us to find out more!